Release Day for my new novel! I’m so excited. Release day. Again. It’s been a while now. In September I released my last novel, Jonathan’s Legacy, and in December we released the 2nd edition of Common Sense. 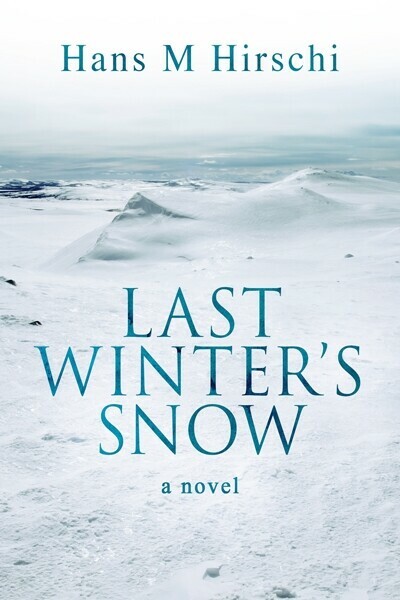 And now it’s finally time to present Last Winter’s Snow to you, my new novel. Release day reminds me of the graduation for a book, when the kid, all grown up and ready to meet the world, moves away from home. Release Day means that I, the author, relinquish all of my control, and let you, my readers, jump into the driver’s seat. That can be scary, frightening even. If you have kids who’ve left the nest, I’m sure you know exactly what I’m talking about. As parents, the author and the publisher have done our utmost to prepare our child to be ready. We’ve taken great care in writing the story, researching it properly and in a lot of detail, more than I’ve ever had to research for a book before. We have edited it, then edited it some more before we proofed the book in several rounds. Natasha Snow has once again created a tasteful cover, very suitable for the story I’m telling. “For gorgeous scenery, realistic relationships, and a story full of warmth and optimism, this gets 10/10 fountain pens. Last Winter’s Snow wasn’t an easy book to write. I began with the first chapter almost a year ago, and when the character Nilas revealed himself to be a Sami, I had a hunch that this might be a book that would require a lot of work. Why? As a foreign born Swede I had no education to teach me about the Sami, and it’s only been very recently that Sweden, as a society, began to talk about them in anything less than negative way. So I had to do a lot of research, see above. The same was true for many of the historical aspects, from details of the spread of HIV (I had to get this right, month by month, as so much happened). Even though I lived through the 80ies myself, I was just a handful of years too young to personally experience the onset of the epidemic. Lucky for me I guess. Given how close I came a couple of times later on in life, I probably would’ve gotten sick, and – unlike a good friend of mine – have died from it, like most of those early cases. Going back into one’s own youth isn’t without risk. You think you remember things one way, when in fact, they were quite different. We caught one medical “boo boo” quite late in the process. Hence the need for several rounds of proof reading. Our memory is fickle. Yet as difficult as it is, it’s also gratifying, and Last Winter’s Snow proves quite aptly just how much progress we’ve made, as a society, in a relatively short time frame. While the story plays out in Sweden, much of the same can be said about most western societies, in varying degrees. I’m at a loss, still, despite the blurb on the back of the book, to describe this novel. Yes, it’s the story of Swedish LGBT history from the late seventies to today. Yes, it’s the story of what it means to be Sami in Sweden during the same time period, and the remarkable journey of one gay Sami back to his own people. But it’s also a love story, and maybe, in a few weeks, I’ll be able to share some of my thoughts on that love story, that couple, Casper and Nilas. But not yet. Today is your day, dear readers. Nilas and Casper are yours, along with the adventures of their life. Happy reading, and once again, welcome to my world… If you’ve already bought this book, thank you for your trust. If you’re thinking about it, take a leap of faith, and I thank you, too!